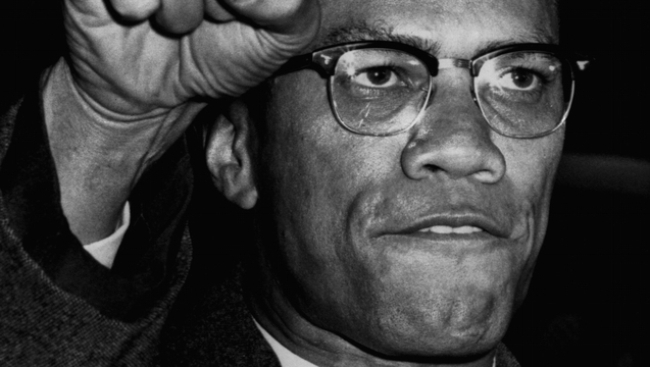 When we text-mined Malcolm X’s speech “Message to the Grassroots,” what stood out to us was how frequently he used the personal pronoun “you.” Malcolm uses the word “you” 168 times in the speech. You don’t catch hell because you’re a Democrat or a Republican. You don’t catch hell because you’re a Mason or an Elk. And you sure don’t catch hell ’cause you’re an American; ’cause if you was an American, you wouldn’t catch no hell. You catch hell ’cause you’re a black man. You catch hell, all of us catch hell, for the same reason. In that case, “you” are one of us. the white man sent you to Korea, you bled. He sent you to Germany, you bled. He sent you to the South Pacific to fight the Japanese, you bled. You bleed for white people. But when it comes time to seeing your own churches being bombed and little black girls be murdered, you haven’t got no blood. Along with joke-telling, Malcolm’s use of the personal pronoun “you” became an additional way that he produced such an effective and compelling speech. For him, “you” operated as a powerful and multifaceted word that allowed him to connect with and critique his audience.